Krav Maga is the official IDF martial art and the ultimate badass martial contact combat technique. This Israeli army martial art has proven to be so efficient that no less than the Mossad, the FBI and the SWAT units of the NYPD have chosen to adopt the technique. 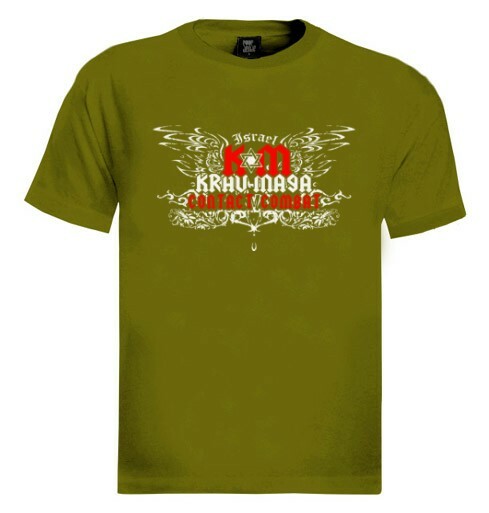 We've created these badass Krav Maga T-shirts with Goth touches and caption "Krav Maga Contact Sport" to give you a chance to adopt the deadly technique as well. 100% combed cotton. Our t-shirts are made of 100% cotton and are long lasting with bright colors. Our products are all designed and printed in Israel.